As Ryan Ashworth stepped into the head brewer’s role at Brewhouse Margaret River an expanding range of possibilities opened up not only for himself but also the brewery. While the temptation to go a little crazy was ripe, the desire to craft something seasonal and refreshing was also front of mind. 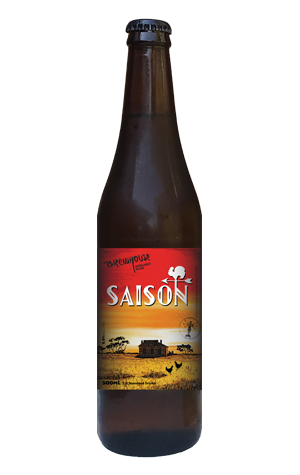 Enter: the saison, a creative middle ground for brewers. Here the classic Dupont style is explored with elements of peppery spice and lemon rind as well as a little funk derived through partial fermentation with Ryan’s Gigayeast #1, a yeast culture developed over many years of homebrewing that’s now finding a role in the commercial realm. The relatively clear body carries a tight carbonation and a dry, clean finish that will sate any thirst.